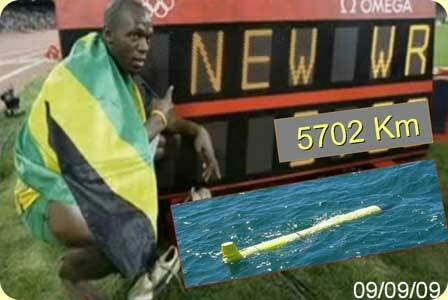 At 9:00am Spanish time the crew on the �Investigador� found RU27. She is still mostly yellow but it sounds like we have similar barnacle growth to what we saw in the Azores. After 221 days at sea, 7,389km and 102.6% across the Atlantic, Scarlet has been successfully recovered. The first Zodiac trip out to the glider was to give it a visual inspection. Scott conducted this inspection along with two of our partners from Spain, Enrique and Antonio. The second trip out was for video documentation of the biological growth. Clayton, Chip and Dan all boarded the zodiac and headed out for an early morning snorkel session. At this point we were informed that the Captain and crew were becoming increasingly nervous about the sea conditions. Since arriving on location they have seen increased wind speeds, which has lead to an increase in wave height. The third and final zodiac trip consisted of Scott, Clayton and Dena and this was to actually recover Scarlet. After a few seconds of pauses all of sudden there was an uproar of cheering and clapping. Scarlet was safely onboard the zodiac!!!! With weather becoming a rapidly increasing concern, the zodiac headed back to the boat. After they secured Scarlet in the zodiac, the crew climbed aboard and then the zodiac was hoisted up. There was yet another round of cheering as emotions ran wild. It was a job well done by all and rumor has it Scarlet has already gotten a sampling on champagne to celebrate the occasion. Thank you to everyone for your support and dedication. This has been an amazing 10 months for us. Starting the build back in February and being able to see the end result in December. You have helped us make history. Thank you! Read the latest news on Ken Branson's blog. 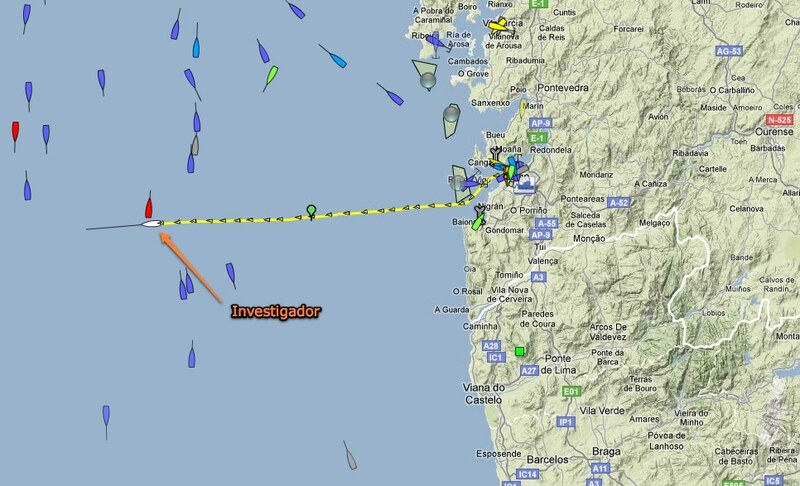 After being delayed a day due to 7 meter waves the RU27 recovery team set sail about 6 hours ago from Vigo. They are onboard the vessel “Investigador” and will be steaming for approximately 18 hours until they reach the rendezvous point. At the 11am surfacing today John switched Scarlet to 4 hour surfacings so we can get her location more frequently. At 7pm Scarlet will be put on 1 hour surfacings. The crew is scheduled to recover Scarlet at 6am Spanish time which is midnight tonight east coast time. Stay tuned for more information. You can track the “Investigador” by going here. 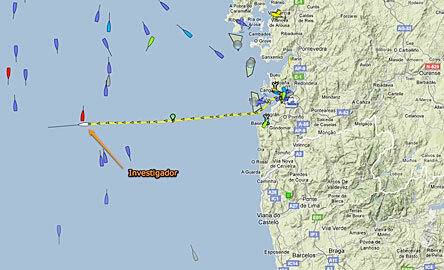 Here is a screen shot showing the path of the “Investigador” thus far. Lastly, if you are filled with anticipation and need a bit of a distraction take a look at this hysterical video created by our undergraduates at RUCOOL. Today a small group left Rutgers and is on their way to Spain to conduct the recovery of Scarlet. In my last post I mentioned that Scarlet needed to accomplish two victories. The first was successfully crossing into Spanish waters, which she did. The second victory will be when we actually recover her and have her safe in our arms again. If all goes well, by Thursday Scarlet will finally be out of the Atlantic. I want to wish the entire crew heading to Spain the best of luck. I hope you have calm seas and a smooth voyage. And again THANK YOU to all of our partners and supporters who have followed along and helped us make history. We couldn�t of done it without you! After 201 days, on Saturday November 14th at 3:17am est. Scarlet surfaced in Spanish waters! This has been an amazing team effort on both sides of the Atlantic that has started a new era of global ocean exploration. Thank you to everyone who helped make this possible! A special thank you to all our families and loved ones as well. We dedicated this mission to you because we know how much time was spent away from those we care about most, so thank you for understanding! Scarlet�s mission however requires a two-part victory. The first part has been accomplished; we made it across the Atlantic. Now we have to keep her happy and maintain a relative position so she is ready for her recovery in early December. We are trying to stay towards the NE however currents may have a different plan in mind. As far as the rest of the fleet, Drake is currently holding a tight course on the 26.5N line and reporting data that closely lines up with our altimetry products. The four gliders off of New Jersey all survived Tropical Storm Ida and are continuing onward with their mission. 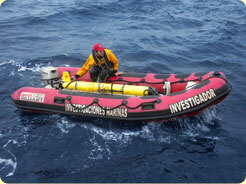 Lastly, this past week we deployed RU25, the deep glider, in Antarctica. 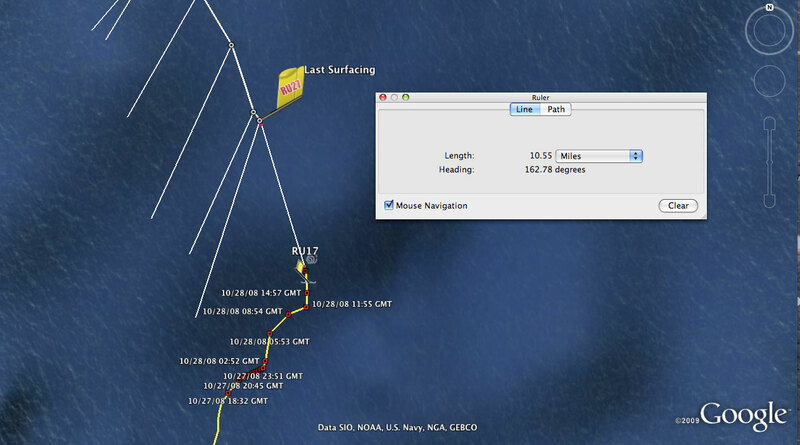 So far the mission has been going quite smoothly and she is headed offshore along the LTER 600 line. A BIG thanks to everyone again for all your help and support! We at RUCOOL all appreciate it. The days are getting shorter and Scarlet is getting closer. At almost 200 days at sea and over 7,000km flown she is over 95% across the Atlantic and less than 100km to the Spanish EEZ. It is simply amazing to look back over the past 6 months and see literally how far we have come. Preparations are under way for her recovery mission as well as for her trip home. It's a very busy time for everyone back at Rutgers. If that wasn't enough, we also have 5 other gliders out to sea with a 6th on the way. Last week RU15 was successfully recovered after a stellar flight down the MURI line with the new BAM sensor on board. 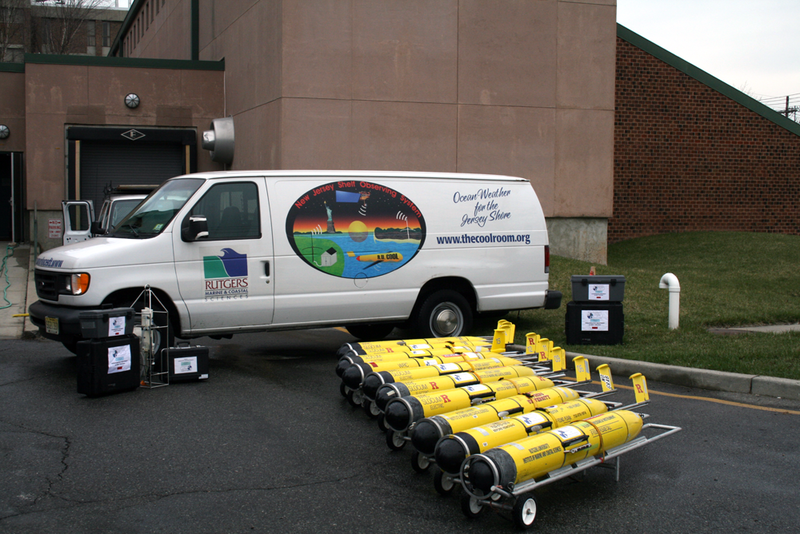 During her recovery we also helped deploy the "Blue Hen" from the University of Delaware. The four gliders off the New Jersey Coast make up the Observing System Simulation Experiment team. All four gliders have been flying well and Oscar has been keeping us up to date with his blog entries, which can be seen here. In addition to Scarlet and the OSSE team, Drake is holding steady and we continue to find deep gliders easier to pilot. They are more ship like than drifter and easier to fly from point to point. Lastly, this week will be the first Antarctic glider deployment. Sometime between Wednesday and Friday we are planning on deploying RU25, which is our deep glider. Bringing our weekend total back up to 7 gliders! For additional news from Antarctica check out the blog. Gliders here, gliders there, gliders are going to be everywhere! Let�s start with a fleet update RU22 and RU23 both had successful completions of their missions. A very good sign for RU23 since it was testing rechargeable lithium batteries and a new pumped CTD from SeaBird. RU15 is currently still out on the MURI line. She is nearing the end of her mission and still doing a great job. RU15 is equipped with a very impressive optics package including pucks and the Beam Attenuation Meter or BAM sensor. She is also flying with a new software update that is proving to be a much-needed advance. Drake is showing good progress as it navigates through the warmer Caribbean waters and will soon be turning east. Next up we have our beloved Scarlet who has been at sea for 182 days now. She has traveled 6,822km and is 88% across the Atlantic and still going! She is combating the biology and slowing down but as we have seen Scarlet is a fighter and she�s pushing on. She has even found herself some favorable easterly currents that will be very useful in helping us cover some more ground. As of now we are stilling look at an early December pick-up date. As for the near future in gliderland we are currently prepping one glider that will go to California for a November deployment. Three more are also getting prepped in the lab to be deployed off our own coast as part of the NSF Ocean Observing Initiative Experiment. Lastly, the three gliders that are here in Antarctica are getting ready to splish splash. The first being the deep glider, RU25, which will run over the historic sampling line here at Palmer. This flight will also give us a battery curve to work with as well as let us plan out the rest of the deployments. Things are definitely busy in the world of Ocean Observing. Stay tuned for more updates! The Scarlet Knight has officially been in the water for over 6 months and she is still going strong. We are over 80% across the Atlantic with about half of our predicted battery power left over. With that knowledge we decided to fly full speed ahead setting our dive and climb angles to 35 degrees. This not only increases our speed but also burns more energy, a decision we are comfortable making. We are about 999km away from Spain and need to get there before the weather gets so bad that a recovery becomes impossible. As we get closer to Spain and the winter season the waves will start to intensify with wave heights as much as 30m. Not something anyone in a boat wants to experience! At this point in time we have a predicted arrival date of right after Thanksgiving, so late November early December. With the start of the fall semester the new Atlantic Crossing class brought a bunch of fresh new faces who have already set out to find the best �landing� ground for Scarlet. They are looking at ship traffic and possible pick up locations. Again another unified effort by the students, everyone pulling together in the hopes of seeing a successful mission! In addition to Scarlet we are still working with Teledyne to fly Drake who is still doing quite well. 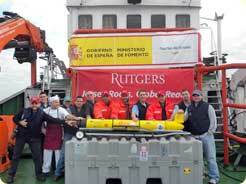 We here are Rutgers also recently deployed two more gliders off the NJ coast about two weeks ago. We sent RU22 and RU23 out for some pretty important missions. RU22 is the IOOS glider on a MACOORA mission to support fisheries. RU23 is a test bed for the new rechargeable lithium batteries as well as the new Seabird pumped CTD. RU23 is the first glider to resemble the Navy�s hardened gliders being built for LBS-G. These gliders started of running side by side for comparison purposes of the two types of CTD�s. As far as other news from the lab it looks like we are going to have a busy fall and winter season on our hands. Come November we will be looking at hopefully the successful completion of Scarlet�s epic voyage as well as the deployment of three gliders in Antarctica and numerous other glider deployments off our home coast of New Jersey. So stay tuned for all the updates! Since Scarlet�s cleaning she has had a breathe of fresh air. She is back to her old self, a fast flying glider determined to succeed. As her voyage has continued she has had to encounter some interesting challenges as well as some pretty amazing accomplishments. Shortly after our visit with her it was time for her to cross the Mid-Atlantic Ridge. This is the longest mountain range in the world and it�s underwater. We had to make sure to avoid any seamounts and not jeopardize a collision that would terminate the mission. Another huge accomplishment for Scarlet was her breaking the distance record set by RU17 of 5,700km. On September 8th at the noon surfacing Scarlet surfaced with a total distance traveled of 5,702km. She has since continued to add to the record with each successful surfacing. Currently, the weather has been providing us with some excellent imagery that we have been using to successfully fly Scarlet to Spain. She has crossed through eddies and is now in the process of weaving between warm water filaments that head North and cold water filaments that head South. With only 1500km until Spain we are still being reminded that the path East is never easy!!! The mission was seemingly simple� sail out to the middle of the Atlantic Ocean on a 50ft sailboat and find an 8ft yellow glider and give her a cleaning. No problem right?!?! Well on the 27th it was time for the action to begin. It was late in the afternoon when we arrived in the area Scarlet was in, now the search began. We still had significant swells and the winds were increasing so finding the glider was going to be a bit of a challenge. Minutes passed and finally right off the bow, a few yards away, we saw Scarlet�s beautiful yellow tail fin bobbing up and down. The anticipation was building� we needed a closer look, full steam ahead! We pulled up right along side of Scarlet and the cameras started snapping away. It was a truly beautiful moment! The day many of us thought would never arrive was finally right in front of us. Chip and I jumped into action and couldn�t wait to get in the water with her. With my mask and snorkel in hand I boarded the dingy and motored out to Scarlet. Within seconds I was swimming in the crystal clear blue water that was about 6,000ft deep, lets hope no one else wanted to join the party! It was a surreal experience for Chip and I, everywhere we looked all we saw was the deep blue water and then Scarlet just bobbing at the surface. We started documenting the amount and locations of all the biofouling, which primarily consisted of gooseneck barnacles. Something that Chip and I are very familiar with since they are a common nuisance on a lot of our deployed equipment. After our initial survey it was time for some filming by Diver Dan. I maintained communication with the command center in the COOLroon as Chip and Dan dove with Scarlet and filmed numerous tests we were trying. Once we got enough footage of her biofouled flight performance it was time for “Operation Clean Scarlet” to begin. We were rapidly losing light and the wind was up to 15knots but we busted out the scrapers and brushes and set to work. Thanks to Hank Lobes wonderful hull coating cleaning was much simpler than we thought. Within 15 minutes Scarlet looked like she had just been unpacked from the box. Back in the COOLroom Dave ran a few tests and then it was time to pause operations until the next morning. At daybreak we set sail to find Scarlet and begin a series of tests to ensure we once again had a properly functioning glider. By 11am both the field team and the command center were ready to start the days mission. Scarlet proved to be a bit of a challenge. At first we had issues even getting her to dive which of course put everyone on edge, what was the problem, why wouldn’t she dive? For hours the divers were in the water doing things like listening and feeling Scarlet to make sure our pump and air bladder systems were working. Then we started adding weight to see if we could get her to dive. The field team was getting tired, the weather was getting worse and the tensions were rising. Finally, Scarlet DOVE and it was a beautiful dive!!! After a few more tests the command center gave the ok to remove the buoy line. This was the ultimate test… could we send her on a dive and have her surface on her own or would she continue plummeting to the depths of the ocean? We all waited holding our breaths as we watched her dive and then we all CHEERED when she successfully surfaced!!!! The COOLroom pulled the dive data for review if things looked good it was a job well done and the field crew could head to dry land. I think it was the best phrase I had heard all week when Oscar said “Great job guys its time to go home!”. We turned full control over to the COOLroom and we packed up our gear and stared the 14-hour sail to the island of Flores. Once we arrived back in Faial it was time for another trip to Peter Sport Café. 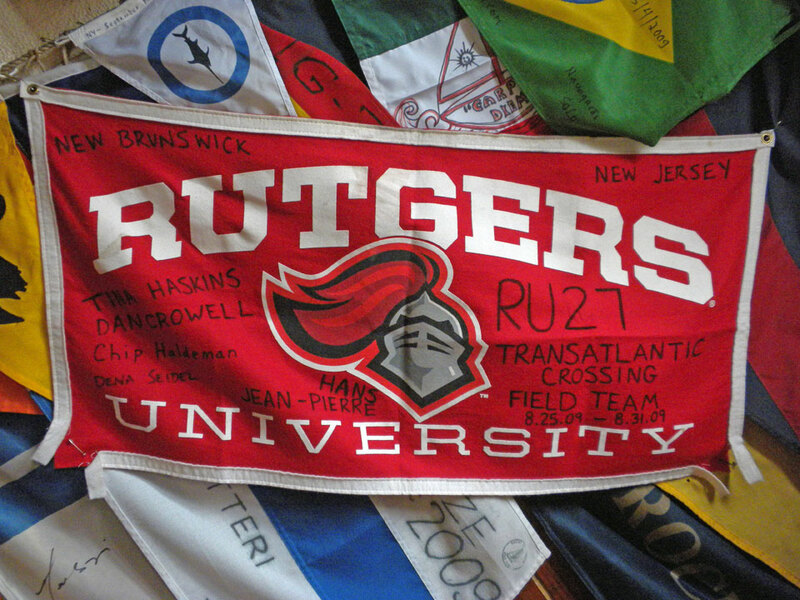 We were joined by some supportive locals and interested tourists as we had a little ceremony and proudly hung our Rutgers flag. It is now hanging among numerous other flags all from people who have sailed across the Atlantic. This mission never would have been a success without the combined efforts of the field team, command center, WEBB, and all of our partners and supporters pulling together! On behalf of the field team I personally want to thank EVERYONE for all your support and kind words. It was wonderful for us to hear how excited everyone was and put a much needed and huge smile on all our faces! Next stop SPAIN!!! Last night marked the start of yet another milestone in our transatlantic voyage. Chip, Dena, Diver Dan, and myself all departed for the Azores. After some minor flight delays and some hassle with all of our baggage we finally arrived in Horta around 4:45pm local time. Our taxi was waiting for us and took us down to the docks to see NEVERTHELESS. We were greeted by Hans our captain and his wife Jos and quickly started packing the boat. After getting our stuff aboard we all headed to Peter Sport Cafe, the infamous transatlantic stopping point. We finally met Duncan who made a lot of this trip possible and we also met the owner of the Cafe. We shared some good stories as well as gifting everyone with various Rutgers gear. Everyone was very appreciative and super excited to be a part of this!!!! Next on the list is setting a few things up on the boat like the iridium antenna as well as downloading some ma files. We are also going to get a Rutgers flag hung up in Peter Sport Cafe with all of our names on it, but that will happen once we return from sea. Tonight we set sail... We are looking at 3m long period swells tonight and tomorrow but otherwise the weather looks good! Godspeed and as they say in Portuguese obrigado (thank you) to everyone for all the warm wishes! We couldn't ask for nicer people to make friends with here in the Azores! I will continue to attempt to keep everyone updated! At over 100 days at sea The Scarlet Knight is suffering from the affects of biofouling. She has reached a critical phase in her flight where she can almost be called nothing more than a drifter. About a week ago we began to see her start to spin primarily on her climbs. This lead to some pretty extensive testing on our part to see if there was anything we could do to bring her back under our control. One of the first tests we conducted to see if we were even still in control was the spin test. We commanded the fin hard over to one side and then let her spin in circles for a four-hour segment. The results from this test were hopeful because she spun in the correct direction and we were able to see we still had a little bit of control over her. The tests that followed consisted of changing her rate of climb and dive. We were exploring the option of whether or not a fast climb fast dive or slow climb slow dive was more helpful. Do we give up speed for more accuracy? Do we find a combination of the two? These were all questions we were hoping to gain answers too. Our testing led us to the decision that the best flight parameters we could set were a fast dive and a slow climb. At this point in time we are flying with no fin offset and are simply combating our heading error by choosing waypoints very carefully. Humorously enough the last few waypoints have all been set on land, a phenomenon rarely seen in the glider world. Currently we have a slightly southeast waypoint set right on Faial. We are trying to avoid getting sucked around the eddy whose currents we are currently riding around on. So what lies ahead for the team here at Rutgers and Scarlet? This week will hopefully yield us some more answers. 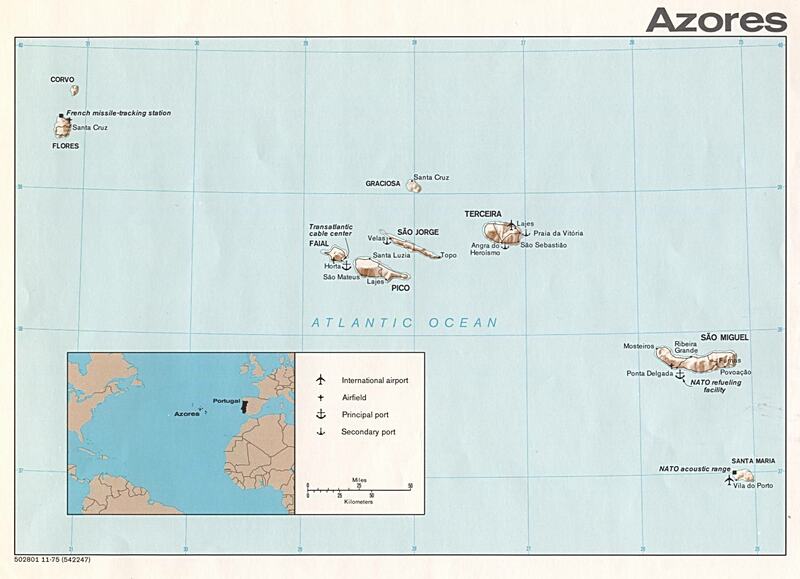 We are about 100 miles from Flores and about 230 miles from Faial. That is remarkably close! It is now time to start planning our trip to the Azores. First on the list is trying to find a boat. Scarlet holds the answers to many questions so seeing her is imperative. We have even started assembling a dive team who will take samples from her so we can analyze exactly what is growing on her. Tension and stress will be something felt by all as we enter this critical time frame. Making sure we get to the Azores and to Scarlet before its too late! Well at almost 60% across The Scarlet Knight is still holding strong. The students have been making some great path planning and piloting decisions leading to extremely proficient flying. 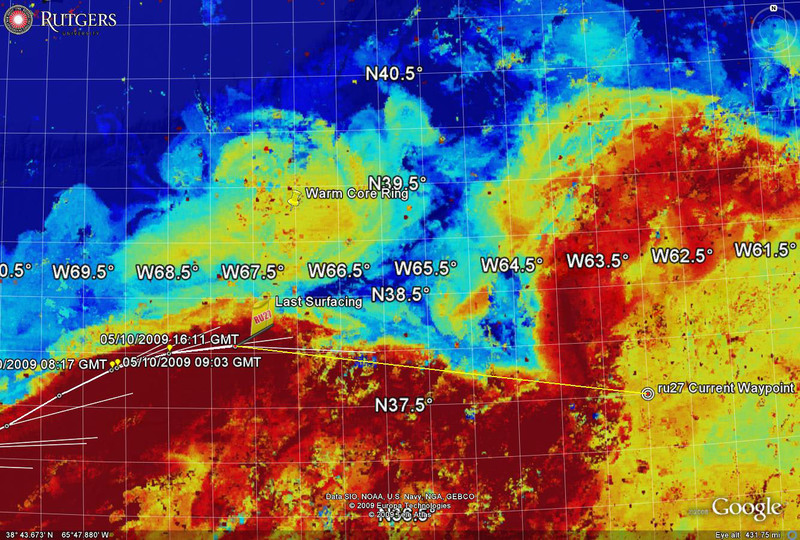 We have been able to carefully navigate between eddies as well as drop our inflection depth down to 40 meters. We are carefully monitoring our heading error as well as fin offset and the students are keeping us fully updated on any possible tweaks and changes that need to be done. Currently, Scarlet is heading south and we are rapidly trying to move her east in an attempt to direct her into more favorable currents. Like two ships passing in the night Scarlet�s current trajectory will have her passing over RU17�s last surfacing in about 10 miles. We were all a little startled by this discovery and while it�s a bit unnerving we have a lot of faith in Scarlet. The knowledge we gained from RU17�s maiden voyage has lead to us building and piloting another glider that is about 2 months ahead of schedule. Now, we of course can�t take all the credit. Every glider has its own personality and Scarlet is no exception. She has demonstrated a fierce tenacity and we have yet to see any signs of her giving up. She has her sights set on Spain and looking forward to giving us a preview of what she has been dealing with when we go visit her in the Azores. Another important update that we are happy to announce is a NEW feature on the website. Now under Flight Characteristics we have a tab entitled Biological Interactions. We have teamed up with OBIS the Ocean Biogeographic Information System and have complied a list of species that Scarlet has likely or will be likely to come across during her voyage. This page will allow you to learn about some of the species in the ocean that live and travel along the same path Scarlet is on as well as to show you where else in the world they can be found. We hope you enjoy! Now that The Scarlet Knight has reached the halfway point the critical decision of what path do we take to get to the Azores is upon us. Do we go north or do we go south? Ideally we would like to approach Faial; they have quite the legacy of people stopping by during their own trans-Atlantic missions. We would simply like to add to that history especially since Joshua Slocum was one of those voyagers. So again north or south the path simply is not clear yet. There are hazards and obstacles and of course numerous uncertainties along both routes. For now we continue trying to head East and hold on to our bearing. Time is of the essence these days. We are dealing with two types of biofouling, both passive and aggressive. The passive biofouling consisting of diatoms, barnacles, algae and the like is exponentially starting to take its toll on Scarlet. This type of fouling starts to slow us down and hinder our flight performance. The aggressive fouling, which we fortunately have not seen a lot of during this mission are things consisting of remora and squid. We have had some altercations with these creatures but nothing that has caused a substantial hindrance. Lets continue to hope this remains true! With our continued lack of good SST coverage we have been relying on other models such as the altimetry and HYCOMM to navigate The Scarlet Knight through the Atlantic. We were successful on the last eddy and were able to hit the easterly moving currents and make the turn. We now have found ourselves sandwiched between two eddies and hoping to not get sucked into either one. Hopefully, with the past few days of nice weather our SST models will start to look better. After a quick comparison to RU17 we are happy to announce that we are currently 21days ahead of schedule. Between the knowledge we gained from RU17�s mission and Scarlet being a lean mean ocean observing machine we have been making some serious progress. 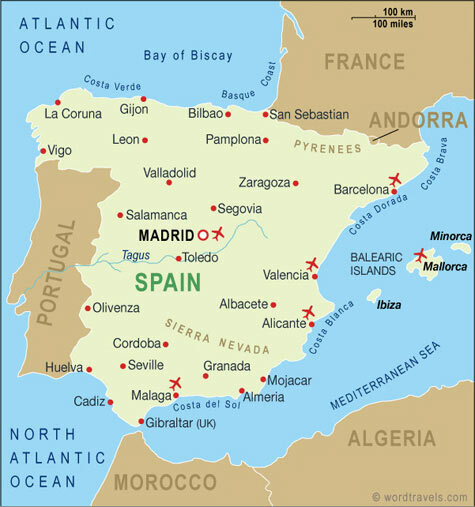 We are officially HALFWAY to Spain!!! As far as the rest of the fleet we have also been seeing some wonderful accomplishments. Over the holiday weekend we successfully flew one of our gliders in and out of a 3-mile wide fjord in Norway. Talk about skillful piloting! Two of our gliders have undergone very successful test flights off the coast of New Jersey and have anticipated recovery dates towards the end of this week. Lastly, we are also working with Teledyne Webb Research to fly their thermal glider from the Virgin Islands to the Cape Verde Islands. We are finding ourselves quite busy with gliders calling in all throughout the day. The Scarlet Knight is doing one heck of a job fighting her way across the Atlantic. She is showing great progress navigating the various eddies especially since she has been fighting through a head current the entire time. Her current waypoint is set for 40 30 N 42 30 W, we need to dig deep into this eddy to make the turn east. Then we prepare for the next eddy after that. We are still having patchy SST due to the cloud cover but we continue to try and make the best navigational decisions we can. In other news, things have been very busy back at Rutgers in the glider lab. We currently have gliders in Alaska, Norway, two off the New Jersey coast and of course Scarlet out in the middle of the Atlantic. It is an exciting and busy time for all of us. Lastly, the summer institute is in full swing. Our undergraduates have been buzzing about the lab working on various projects. Some looking at satellite prediction models to see if Scarlet will be able to make her call in time. Others are looking at flight behaviors or comparing glider data to other instrumentation data. At the end of the summer each student will make a poster that documents his or her findings. As The Scarlet Knight nears the 50% percent point the voyage only seems to be getting increasingly difficult. Biofouling is slowly taking its toll on Scarlet�s speed. We are not overly concerned yet but it has definitely caught our attention and we are going to work hard to try and find some sort of solution. Maybe it�s by staying deeper and trying to avoid the upper portions of the water column, which have more light. Or maybe we need to find ourselves some colder water that is less desirable for biology. In the last update, I spoke about how Scarlet was fighting her way through a cold core eddy. Well things got a little dicey and we started betting on whether or not we would go for another loop in the eddy or if Scarlet could fight her way out. Well Scarlet once again surprised us all and came out on top. Her never ending tenacity speed and agility allowed her to fight her way through the cold core eddy by flying perpendicular to the current. Our roadmap of the ocean started looking a bit smoother as there was a warm core eddy to the north that we wanted to take advantage of. We were able to hit some of those currents and start moving northeast and it looked as if we were all going to have an easy weekend. As the weekend was about to begin Scarlet called in at her normal evening surfacing and we noticed some northwest current vectors instead of northeast. Neither our altimetry nor SST imagery provided us with any clues of as to why Scarlet was experiencing northwest currents. Our best guess is that there is a smaller scale feature in the flow that is not being detected by the sensors. So what do we do? We have Scarlet do the same thing she did to get out of the cold core eddy, fly perpendicular to the currents until we are back in favorable conditions. Unfortunately, the road less traveled is never easy and straightforward. This just served as another reminder that navigating this big blue watery road is a never-ending battle. Just as we thought things would get easy we found ourselves on a dirt road filled with potholes and very poor roadmaps to help guide us. However, one thing that has remained consistent is Scarlet�s never ending will to succeed! I for one am proud to be apart of this voyage and continue to wish her the best as we all sit wait and hope that we can help her in whatever ways we can. In about 180km we are again going to be faced with tough navigating. The currents split and we have to take the path to the right, which will take us east nearly to Flores. If we miss and go left� well lets not talk about that option! In the past two weeks we have had the usual challenges of dealing with poor imagery and tough path planning decisions but we are lucky enough to have our undergraduate pilots back to weigh in on the subject. Emily, Shannon and Dave have spent numerous hours looking over altimetry and SST data in the hopes of finding the best path. They have also started writing about these decisions in the blog. Earlier this week, in addition to the data we already use, John was able to secure NASA�s MODIS imagery so that we now have full North Atlantic coverage as well as 1km data from our partners in the Azores. This is going to be a huge asset to us as we continue along on our voyage. Lastly, on June 3rd it finally happened, we had our first encounter with biology! As we looked over Scarlet�s yo profiles we noticed that she was having trouble on some of her dives and climbs. Luckily, we only saw this occur once and her flight has continued to be unhindered thus far. Let�s hope nothing else wants to join Scarlet for a ride anytime soon! Over this past week we have found ourselves having to make some difficult navigational decisions. Cloud cover has lead to some patchy SST and Altimetry maps which make path planning a bit more challenging. We have been switching back and forth between the two maps trying to decide which is more accurate and how best to proceed. We even had some encounters with both cold core rings and warm core rings. Right now we know we are facing some strong currents that are tough to navigate. It looks like we might have to head to the west just until we hit the northeast currents again. Even with the current navigational troubles The Scarlet Knight still proves to be fast and agile and our energy usage is right where we want it. For a number of days we have seen our amp-hours per day be around 2.75 (see picture), which is below our target of 3. This is very good news for Scarlet. The more we stay below 3 amp-hours/day the better our chances of success will be. Lets continue to hope for clear skies and calm seas as Scarlet continues on her voyage! The Scarlet Knight has been doing a great job following the Gulf Stream and weaving along the meanders. She has made some beautiful turns as she navigates the Gulf Stream much like Mario Andretti would. We continue to see good energy usage as well as good flight parameters. She still appears to be flying fast and clean which is something we are desperately trying to use to our advantage for as long as possible. We will soon be exiting the Gulf Stream which means things will start to move a lot slower and many more challenges will be thrust upon us. Soon Scarlet will be faced with the eddy fields as well as slower moving water meaning a higher likelihood of biofouling. This past week we got a nice dose of Scarlet�s personality when she missed a few of her call in times. During these periods of �No Comms� or no communication we of course were worried about her but she finally called home to check in. It became evident to us that she is the independent younger sister compared to her older sister RU17. RU17 never hesitated to call us for help and share her troubles; she was a very good communicator. Scarlet however appears to be a bit more independent. She has also demonstrated her great climbing ability, which should prove useful in keeping her out of trouble when biology comes knocking. While Scarlet continues on her journey everyone here at headquarters is starting to gear up for a busy summer. 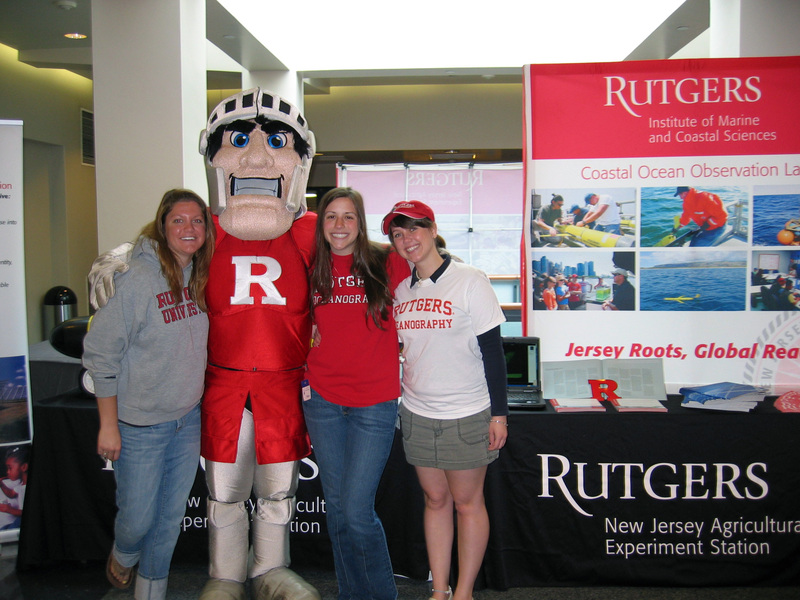 Last week a few of us journeyed down to Trenton for Rutgers Day. We brought a glider along and were able to answer some questions as well as generate interest in Scarlet�s Mission. The Rutgers Scarlet Knight himself actually paid us a visit to wish us luck (See Photo). Some of the undergrads are slowly trickling back as we prepare for the Summer Institute, which kicks into high gear on June 1st. Each undergraduate will be faced with various tasks that will lead to a research poster at the end of the summer. They will be helping us monitor Scarlet as well as integrating new tools into our command center. During this past week The Scarlet Knight entered the Gulf Stream and took off like a rocket. She has continued to demonstrate her speed and agility and has performed exceptionally well. Our goal is to stay in the Gulf Stream and cover as much ground as fast as possible. One of the main reasons for this is to take advantage of our clean fast glider while we can. Biofouling happens and while we have taken every precaution we can think of to try and avoid it eventually we will have stuff that sticks to us. In addition, once the Gulf Stream ends our path becomes a bit more hindered due to the eddy field. So if we can move as fast as possible and try to stay as clean from biofouling as possible we hope to not be to compromised when we have to navigate the eddies. While in the Gulf Stream Scarlet has also broken a few records. Go Speed Racer! So far we have seen maximum current speeds at 193 cm/sec. WOW! Last night she was rounding the top of the meander crest and today we will be adjusting the waypoint to send her down into the trough which is located near 64W, about 420 km away. 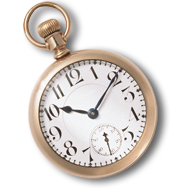 Thanks for checking in and don�t forget about the blog for more detailed and frequent updates. The Scarlet Knight has now been at sea for one week and we are happy to report that so far things are going well. She is off the slope and diving in deeper water but not before giving us a few scares. This past week we were once again tested and once again we prevailed and overcame some software bugs, more importantly though is that we are seeing that Scarlet is still a fast and agile glider. Here is an overview of what the last week has been like for Scarlet. After deployment our celebrations were cut short when we found out that we had some software issues involving turning the CTD on and off. On Tuesday back in the lab tensions rose as the day slowly crept by with no solution found and the possibility of recovering Scarlet looking more and more likely. 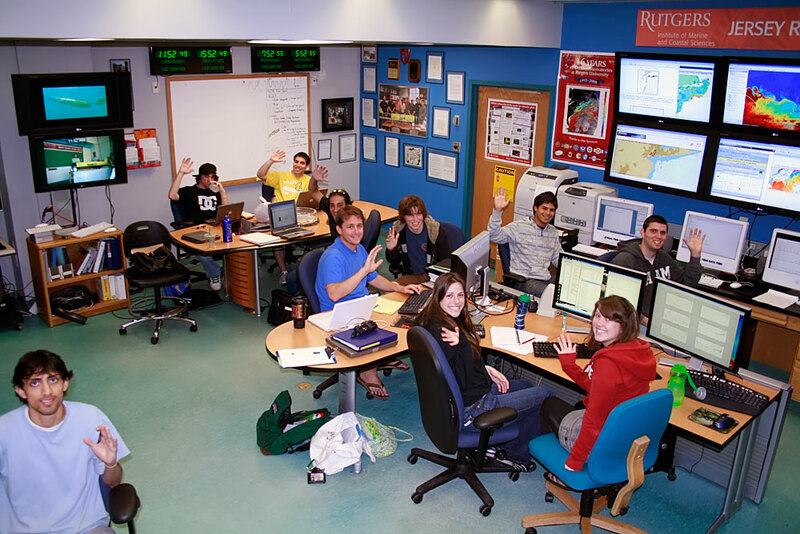 However, right around 4pm our luck started to change, as a small group of us rapidly worked in the COOL room. We started simulating possible outcomes and finally at 7pm we had found the solution. We sent some new mission files to Scarlet and all went home satisfied that disaster had been avoided. Wednesday and Thursday we were challenged with which path do we choose. Looking at our SST and current maps we saw a perfect route right by Wilmington Canyon that would get us over the shelf and into the Gulf Stream. Things were looking good until we got a call from Josh who had just been in a meeting with a bunch of fisherman. He informed us that we were sitting right in the middle of a 60x60 mile fishing box known as the Elephant Trunk. Once again our blood pressures rose as we scrambled to find the fastest and most efficient way out of that fishing zone. We quickly plotted a new course and crossed our fingers that Scarlet would make it off the shelf without any snags. Smooth sailing has now finally arrived and we all have taken a deep breath. Scarlet has successfully crossed the shelf and is in deep water. We will be working on increasing her dive depth to 180m as well as tweaking any flight characteristics if needed. So far Scarlet has shown her bravery and has pushed through each challenge we have been faced. She continues to dive swiftly and we all have high hopes for her. Yesterday, April 27th 2009, Scarlet Knight was deployed off the coast of Tuckerton, NJ. The R/V Arabella pulled away from the dock at the Rutgers University Marine Field Station a little after 8am. It was a beautiful day to be on the water, calm seas and gentle breezes. The R/V Arabella traveled for about 2.5 hours before reaching the deployment location. We had a water depth of over 100ft, which was perfect for deploying Scarlet and sending her on a few missions prior to bidding her farewell. After a small ceremony Scarlet was released from our hands and plunged into the Atlantic Ocean. We ran 5 short missions testing out various flight parameters such as making sure the CTD was working correctly as well as her overdepth response. We were pleased with our results and after numerous photo ops and interviews we called into headquarters back at the Institute of Marine and Coastal Sciences and told them they could take control of Scarlet. We bid her farewell and Godspeed as we began the trip back to Tuckerton. So far she has been communicating with us at the appropriate time intervals. It is now a waiting game; we will sit wait and watching each day for her calls as she makes her way across the Atlantic and hopefully to Spain. Well all the batteries have been selected and as you can see from the photo there are a lot. We have a total of 8 battery packs in the aft, 6 in the pitch, 14 in the payload, and 2 in the nose. Dave has already gone through the process of rewiring all the packs, another large hurdle we have successfully crossed. As of right now we are looking at a deployment date of Wednesday April 22nd, Earth Day! Hopefully the weather will be in our favor. In addition to rewiring all the batteries we have also applied the biofouling paint to various surfaces. As of now we have decided to paint the wings, wing rails, anodized aluminum rings, the tail section that is covered by the cowling, and the anodized aluminum nosepiece. This process went very well and we are quite pleased with the results. The added weight of the paint was nominal meaning there were no tweaks or recalculations we needed to do in order to compensate for the added weight. Lastly, one of the most important things we do with the glider is ballasting. Through this process we can figure out if we are two heavy in a given section and how much roll we might be experiencing. After numerous ballasting sessions Scarlet is looking in really good shape. She is almost perfectly balanced in the water, not too nose or tail heavy. She had some roll to the port side, which is the side the CTD is located on, and we have corrected for that. She now has a slight roll to the starboard, which is ok because it will compensate for the additional drag on the port due to the CTD. All in all things are looking great and we are hoping for some nice weather on Earth Day, so we can deploy Scarlet and start this voyage. This week has started out very productive and we have definitely entered the final phases. We have selected the bifouling paint that will be used during Scarlet�s mission, due to its slow ablative and lightweight properties. We have zeroed in on most of the remaining weight issues due to numerous ballast tests. Then last night, after removing a bit of weight and cleaning up the pitch battery, Scarlet went through a series of pitch motor tests. These tests are designed to simulate her diving and surfacing behaviors. We angled Scarlet at both positive 26 and negative 26 degrees and then listened and watched as her pitch motor was tested. Conducting these tests are very important because we need to make sure her pitch motor which controls all of her diving and surfacing behaviors are correctly positioned and not experiencing any rough spots. Following her pitch motor test we also conducted a roll test. For this we put her in an exaggerated roll position and again listened to the pitch motor. The final results showed Scarlet is in great shape and one step closer to deployment. Back on March 23rd we had the christening event for RU27. As many of you may have heard it was a huge success. RU27 has been officially named The Scarlet Knight otherwise known as “Miss Scarlet.” We had a great turn out and are very appreciative to all that showed their support. During the weekend of March 28th we conducted what is known as the “Burn Baby Burn” test. This test is designed to check the emergency ejection weight system that is on board. Things did not go exactly as planned. We were expecting the weight to drop somewhere between 32-36 hours however, after a long 46 almost 47 hours the test concluded with a successful weight drop. Currently, we are working on the pitch battery assembly. The original design has been giving us a bit of trouble but with some slight modifications we should be ready to go. Once the pitch battery is completed, RU27 will begin an extensive pitch test in the ballast tank. Lastly, this coming Thursday April 9th from 7-9pm in the Cook Campus Center there will be a special glider presentation. It is the perfect chance to come learn more about gliders as well as check out some of the fleet. So come stop by for a fun night filled with free food, giveaways, and of course GLIDERS!! Currently, RU27 is off the coast of New Jersey on what we call the Endurance Line. The E-Line runs from the coast of New Jersey right out to the shelf break and back. During a test flight, a glider is put through numerous performance tests in preparation for its next expedition. For RU27's test flight it will not only be performing standard equipment and software tests but it will also be experimenting with new technology. One of our newest features on RU27 is the Coulomb Meter. So far, during the test flight, we have learned some valuable information on how the glider uses energy and what activities cost us the most. Back in the lab, the engineers have already started processing this information by building an energy budget. 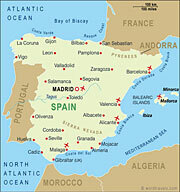 This will allow for RU27 to be more efficiently guided on its trip to Spain. For example, this will be the first mission where we program the glider to turn its CTD on and off by itself and do only one profile of the ocean each day. In previous missions this was something we had to manually which costs us quite a bit of battery power. Some of the standard test that are completed during the test flight are the flight controls. We look at the pitch, heading, vertical velocity, and then analyze the data. By observing how the glider flies we can make any necessary tweaks once RU27 is back in the lab. In addition, we also put the air bladder through rigorous tests to make sure it continually inflates and deflates without breaking and causing a leak. With the integration of the 200m pump we have been doing a lot of work testing its "stay deep" behavior. Some of the preliminary findings are that this new pump is indeed performing robustly while providing us with more flexibility. By being able to dive deeper we may be able to avoid some of the biology and biofouling that the glider normally would encounter. .
We learned a lot from RU17's mission, so before we can send RU27 out on its transatlantic voyage there were a few modifications we needed to make. What follows is a list of changes made to RU27 that will be performance tested during the RU27 test flight, which is currently underway. CTD Mount: The CTD now mounts on both sides to allow for a sturdier setup. Pressure Sensor: We changed the sensor from metal to plastic to prevent corrosion. Pump: RU17 only had a 100m pump where as RU27 will be equipped with a 200m pump to allow for deeper diving. Biofoul Precautions: RU27 will have a rubberized hull coating designed to prevent biofouling. We will also be testing out some different biofouling paints on the wings and anodized aluminum pieces. Aerodynamic Wingrails: Allow the glider to glide through the water more smoothly. Coulomb Meter: The new device is going to be a key component during the mission, since it acts as our fuel gauge. We will now be able to monitor the power left in the batteries during the flight. This also allows us to build an energy budget so we can see how to utilize battery power most efficiently. Software: RU27 will also be equipped with better software to aid in its ability to fly deeper. School of Environmental and Biological Sciences • © 2008 - Rutgers, The State University of New Jersey.